North Sea Terminal Bremerhaven GmbH & Co. is the second Bremerhaven container handling company and was founded in May 1998. Founding shareholders were BLG Container GmbH, Maersk Germany GmbH and Sealand Service Inc.. 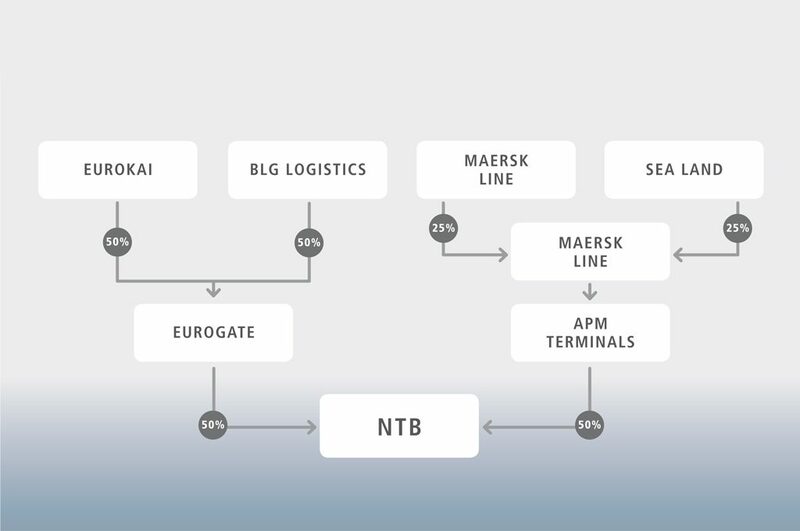 In the meantime, the shares are held equally by the joint venture of BLG and Eurokai “Eurogate GmbH & Co. KGaA, KG” and “APM Terminals Germany Holding GmbH”, the German subsidiary of the global terminal operator APM Terminals International, which is part of the AP Möller-Maersk Group. “Eurogate” is represented in 12 locations in Europe, “APM Terminals” operates more than 70 container terminals globally, 18 of them within Europe.